I first discovered the Espresso Mushroom Company (EMC) via Twitter, and my interest was sparked when I heard they were growing mushrooms on used coffee grounds from local Brighton coffee shops. When I found out they were attending the Big Sussex Market I was keen to meet them and, of course, try some of their mushrooms. I think it’s important to point out at this stage that this isn’t a sponsored post, and I bought the mushrooms myself. I see blogging as an opportunity to give a little helping hand to local independent producers whose business ethics I support and whose products I would naturally want to buy. After all, the more we can support local, the more access we’ll have to better choice of quality food. So, on with the mushrooms. 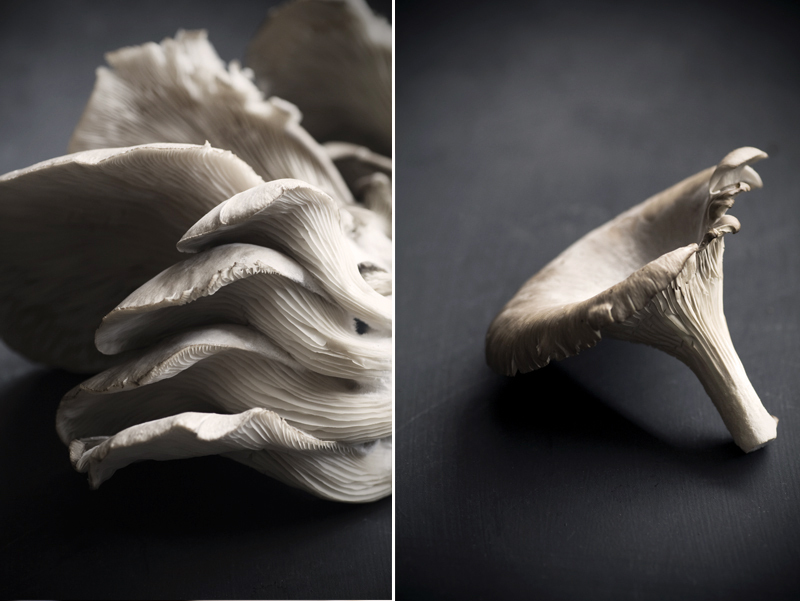 I’ve always been quite disappointed by oyster mushrooms; if they aren’t super-fresh they can either be a bit rubbery, or just limp and pathetic. Not so the ones from EMC! These were delicate little beauties and they actually smelt like mushrooms. That might be like stating the obvious, but supermarket produce is often devoid of any natural smell, and sadly, taste too. This tart is really simple to make and is ideal served cold for lunch if you want a change from sandwiches. It’s also rather delicious fresh from the oven and served with lightly steamed seasonal vegetables. 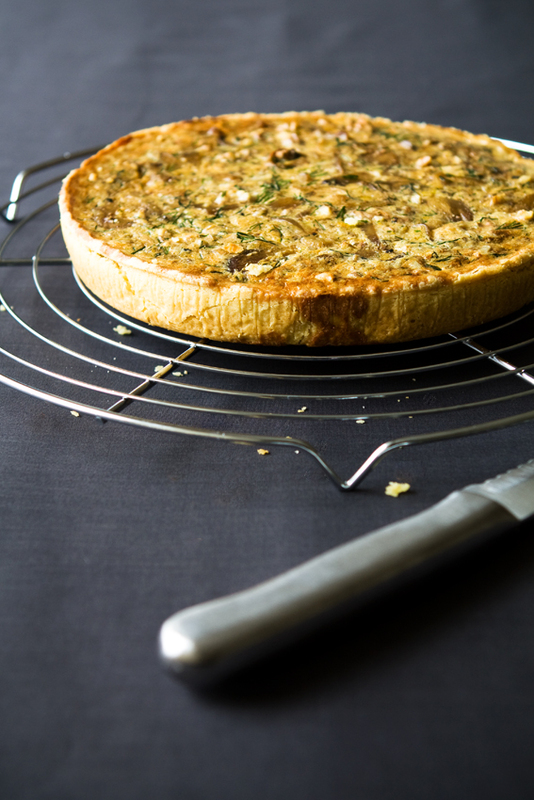 I decided to keep my ingredient list simple so as not to overwhelm the delicate flavour of the mushrooms, and I added walnuts to give the tart a bit more substance and variety of texture. Read on for the recipe. 1. )For the filling, warm the butter in a frying pan and then add the mushrooms and crushed garlic. 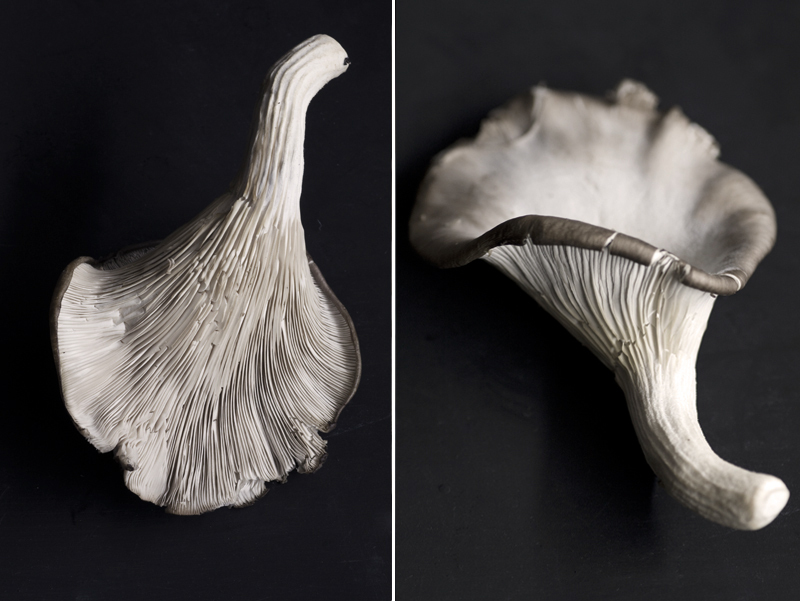 Cook for about 4 minutes, or until the mushrooms have softened and darkened in colour. 2. )Add the dill and walnuts and continue to cook for another minute. Season well with salt and pepper. 3. )Pre-heat your oven to 180oC/Gas Mark 4. Lightly beat the eggs, yolks, cream and milk. 4. )Spread your mushroom mixture evenly in the tart case and then pour the beaten egg and milk mixture over the tart filling. 5. )Bake the tart for about 35 minutes until golden all over.